Leading employers have woken up to the benefits apprenticeships bring to their workplaces, Education Secretary Damian Hinds said today, with top firms including Marks & Spencer and Lloyds Banking Group taking on thousands of apprentices on the Government’s new, higher quality apprenticeship programmes. So today (Thursday 17 January) the Government is launching a new campaign to promote apprenticeships among young people, parents and employers, whilst confirming that it will write to the largest school trusts who have not published information on their website about how they will ensure providers of vocational education are able talk to pupils in their schools. As the Prime Minister said in PMQs yesterday, it is important that young people are able to see that there are different routes for them for their futures, different routes into the workplace – and apprenticeships are an important route for some young people. The Government is also writing to local authorities to remind schools about the requirement to do this to make sure pupils have the full range of information about different career paths that are open to them. "We are seeing the apprenticeship system in this country come of age, with leading employers waking up to the benefits apprenticeships can bring. • Nearly three quarters (71%) of apprentices agreed that their chances of earning a higher wage in future had increased, and (80%) agreed that their chances of going on to higher levels of training had also increased. • Employers also report benefits such as improved productivity (78%), improved product or service quality (74%) as well as the new ideas apprentices bring to their organisation (65%). 83% would also recommend apprentices to other business. 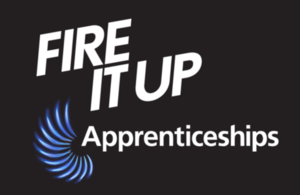 • According to a recent survey by the Sutton Trust, more and more young people are considering apprenticeships as an option after leaving school – almost two thirds (64%) said they would be interested in starting an apprenticeship instead of going to university. This is a rise of nine percentage points from 2014, when 55% of young people said they were interested in this route. • The Sutton Trust survey also shows that men who start an apprenticeship earn 23% more than those who left school with only GCSEs and roughly 16% more than those who left education with a level 2 vocational qualification. For women, those who start an apprenticeship earn 15% more than those who left school with only GCSEs and about 4% more than those who left education with a level 2 vocational qualification. Mr Hinds has pointed to these figures as proof that employers and young people are starting to recognise the benefits of apprenticeships to young people and businesses. "Young people like me are thinking about their options. University is a good idea, but it is not for everyone. Ultimately it wasn’t for me because I didn’t feel it was preparing me for the job I really wanted. My apprenticeship was an amazing combination of world-class on-the-job learning, hyper relevant qualifications, with a clear potential career ahead of me. All while earning a salary!" • A new generation of Higher Technical Qualifications – an alternative to a university degree to help more people get on in their careers and so employers can access the skills they need. These qualifications at ‘Level 4 and 5’ – like Diplomas of Higher Education and Foundation Degrees – sit in between A Levels and a degree in subjects like engineering and digital. The kind of training that helps someone step up from being a healthcare support worker to a nursing associate or a bricklayer to a construction site supervisor. • Reforming the pupil destination measure – the information published in school and college performance tables about what higher study or training pupils go on to do after they leave – to create one measure that shows how many young people are doing higher training of any type. The new destination measure will show separately how many young people go on to study degrees, higher technical apprenticeships or Higher Technical Qualifications like a Higher National Diploma. • Matching skills to jobs – new guidance and a package of support for Skills Advisory Panels – local partnerships between public and private sector employers, local authorities, colleges and universities – to assess what skills are needed in their local area.